With a mind-blowing collection of iconic landmarks and national parks less than an hour’s drive away, Rapid City is South Dakota’s tourist epicenter. 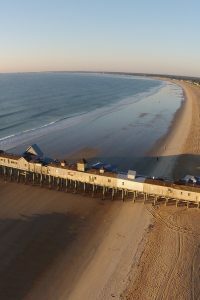 The laid-back city is awash with restored buildings that house a satisfying array of museums, restaurants, galleries and boutiques, while public spaces emblazoned with artworks give way to inviting green spaces laced with scenic trails. Further afield, Mount Rushmore National Memorial, Badlands National Park and Black Hills National Forest offer hauntingly beautiful landscapes and some of the nation’s most cherished landmarks. 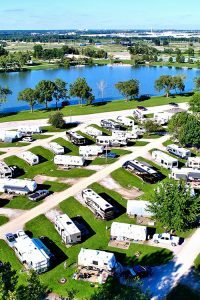 Sitting on the eastern border of the Black Hills National Forest and accessible via Interstate 90, Rapid City is ideally situated for fun-seekers. Just a hop from Rapid City’s historic downtown district, the Hanson-Larsen Memorial Park Trail Network spans 20 miles of trails laced through the scenic Black Hills lands with incredible views of Mount Rushmore. East of Rapid City, pancake-flat lands scattered with the vestiges of homesteads and ghost towns lead to Badlands National Park, where jagged rock erupts from the ground. 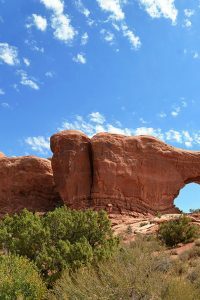 While there’s a haunting bleakness to the landscape, not to mention searing temperatures in the summer, it’s a mesmerizing place for terrific day hikes. To the west, the Black Hills National Forest welcomes visitors with more than 450 miles of hiking trails of all skill levels. The moderately rated, 2.7-mile Horsethief Lake Trail showcases the Black Hills’ signature landscapes, with granite peaks, twisted spires and forests of ponderosa pine. For more of a challenge, the strenuous, 3.5-mile Black Elk Peak loop hiking trail gains 1,100 feet in elevation to reach Black Elk Peak. At the eastern edge of Black Hills National Forest, Mount Rushmore National Memorial enshrines four iconic U.S. leaders. Arguably the nation’s most cherished feat of artistry and engineering, this ode to American democracy was carved by sculptor Gutzon Borglum between 1927 and 1941 at the cost of about $1 million. The Presidential Trail delivers awe-inspiring views of the 60-foot faces of George Washington, Thomas Jefferson, Abraham Lincoln and Theodore Roosevelt, carved 500 feet up a stone mountain. Before the discovery of gold in 1874 lured white settlers to the Black Hills, Rapid City was home to several Native American people, including the Lakota and Sioux. The South Dakota School of Mines and Technology houses artifacts that speak to the region’s compelling mining history and resources. Established during World War II, the Rapid City Army Air Base, now known as the Ellsworth Air Force Base, is home to the South Dakota Air and Space Museum, which chronicles America’s aviation history and technological prowess, with exhibits of military missiles and over 30 vintage military aircraft. One of the state’s top museums, the Journey Museum & Learning Center, details South Dakota’s history from prehistoric times through the modern era. Rocks, gems, minerals and fossils examine the region’s evolution over 2.5 billion years and there’s a rare collection of Sioux craftwork. Get ready to meet U.S. leaders in town. Known as the “City of Presidents,” Rapid City’s streets feature life-size bronze statues of former U.S. chief executives, from Washington to Obama. Rapid City’s alluring downtown is lined with artfully restored brick buildings that house a clutch of museums, innovative restaurants and stores. With a thriving arts community that ranges from cutting-edge street art to a revered symphony, Rapid City is a destination unto itself. Art Alley acts as an organic space for expression, with influential artworks and murals covering buildings. Check out the Dahl Arts Center, which houses the Cyclorama, a 180-foot mural of American history. This is one of only five such artworks in existence and the third largest in the U.S. The Museum of Geology features mounted displays of mammals, marine reptiles and dinosaur skeletons discovered in the Black Hills area, as well as a fluorescent mineral room and interactive Kids’ Zone. 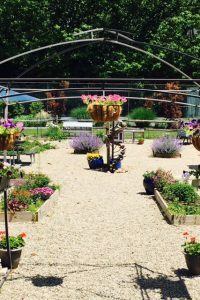 Just 6 miles out of town, the Reptile Gardens holds the Guinness World Records title as the world’s largest reptile zoo, with more species of reptiles than any other zoo or wild animal park in the world. 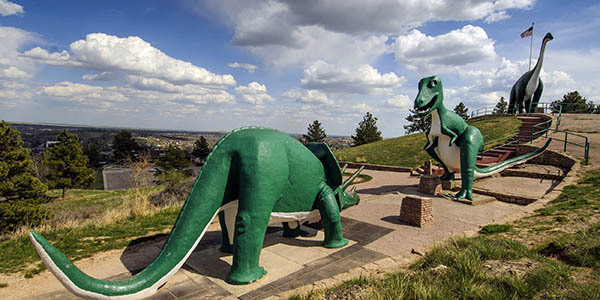 For a more whimsical look at reptiles, check out Dinosaur Park, with seven large dino sculptures on a hill overlooking the town. A frontier spirit holds sway at Rapid City’s celebrations, with rodeos, stock shows and nods to former gunslingers. At the end of January, the Black Hills Stock Show and Rodeo is one of the state’s most popular events. 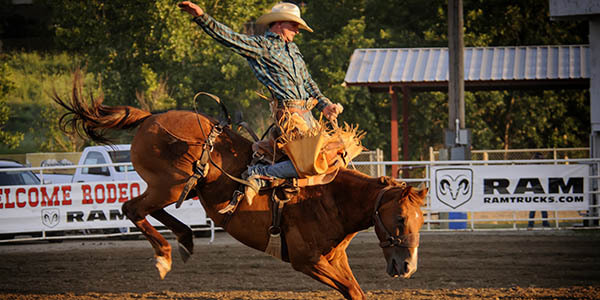 The agriculture-themed spectacle stages the World’s Smallest Rodeo and sheepshearing demos. In mid-June, Rapid City pays homage to the king of all gunslingers, Deadwood’s own Wild Bill Hickok, as Main Street is transformed into a stage set featuring live music, gunfight reenactments and lessons in gold panning. About 15 miles west of Mount Rushmore, the unfinished Crazy Horse Memorial celebrates Oglala Lakota warrior Crazy Horse. It was Chief Henry Standing Bear who suggested to sculptor Korczak Ziolkowski that a sculpture should be made, because he and his fellow chiefs “would like the white man to know that the red man has great heroes also.” Work began in 1948 and continues to this day. When complete, the sculpture of the warrior on his horse will stand 563 feet tall and 641 feet in length.